Only two weeks ago I wrote a blog post about the Vivaldi browser, which is in my opinion a very good and distinctive browser for Linux. 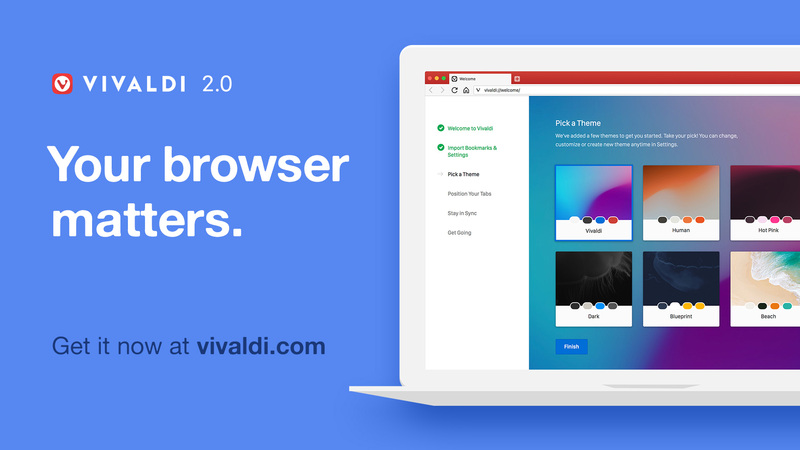 And today version 2.0 of Vivaldi has been released to the world. In that blog post I shared that I was really enthusiastic about this browser and that I was convinced that you will like Vivaldi as well. Vivaldi has nice unexpected functional, efficient and effective options, a clean user interface, it feels really fast and offers a nice overall experience. Therefore it is now my main web browser on both my Linux desktop and laptop. And now we already have a new version to discuss, which is of course very exciting. 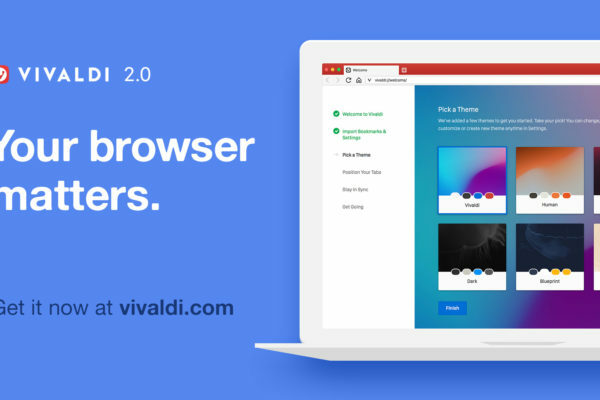 So what has Vivaldi 2.0 to offer on top of an already great browser? 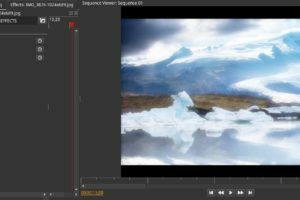 In my opinion Vivaldi 2.0 for Linux offers many improvements. 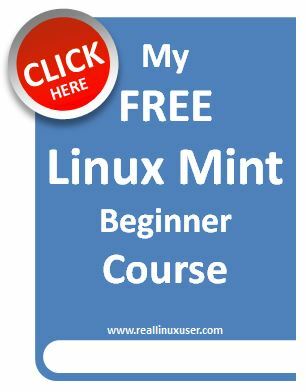 If you want to have some more in depth information, you can read my previous article Vivaldi is a great web browser for Linux, but for now the short description should suffice. Vivaldi is a web browser developed by Vivaldi Technologies, a company that was founded in 2014 as a kind of a statement against the choices that the Opera browser (the application that was the inspiration for Vivaldi) made that time by switching technologies. The team behind Vivaldi has the opinion that a browser should adapt to the user and not the other way around, so users want access to advanced tools without sacrificing performance or safety. Further privacy is a hot topic these days, so the Vivaldi developers have made privacy, security and reliability the core of their scope with every modification or extension of the application. 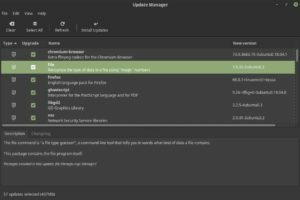 This newest release includes Sync, Resizable Tab Tiling, Floating Web Panels and contains over 1500 improvements since the first version of Vivaldi. Implement Syncing of Bookmarks, settings, etc. Lets dive a bit deeper for some of them. While Vivaldi already was a looker, the team was not ready yet with improving the styling aspects of this application. An important part of Vivaldi is the first onboarding process, which has been further improved. This welcome screen that helps you through the setup process now shows you where you are in the complete process and what you already finished. You can also completely customize the look and feel of the application. 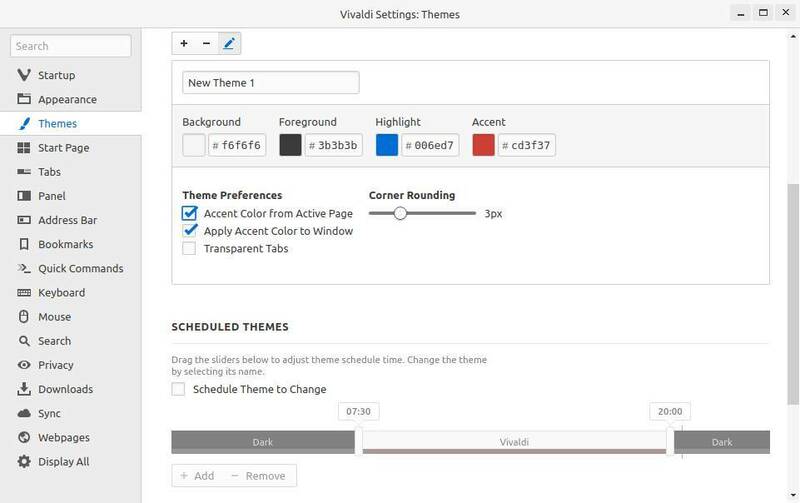 There is the possibility to choose from new themes, but you can also easily put together your own theme. And decide yourself where the browser components are positioned on your screen. Adjust your default zoom levels and have the option to use the Reader View function to remove all distracting aspects so you have a completely relaxing reader experience. And schedule your themes so they change during the day. So you can have a darker theme in the night and a lighter one in the morning. It is even possible to let adjust the theme based on the primary colors of the website that is being used, which is a kind of comparable with the Philips Ambilight functionality. With Vivaldi 2.0. you can now seamlessly and securely synchronize your data between multiple computers. This functionality was already a kind of available, but with this release synchronisation has really been matured and reliable. Various bugs have been fixed and some improvements have been implemented in the Sync settings interface. In the backend the server stability has been an important part of the sync related improvement scope. The Vivaldi servers have the capacity and resilience now to handle the expected load for a full release. Further improvements are scheduled for future releases, as the list of syncable items will be further expanded. Currently you can sync Bookmarks, Passwords, Autofill data, typed URLs, Notes and Remote sessions. Vivaldi already had great tab related functionality, like grouping into tab stacks, searching for open tabs, renaming your tab stacks, pin, drag, hibernate and mute tabs. But now it is possible to resize the tab tiling. Further the viewing tabs in a split-screen has been greatly improved: just adjust the size by simply dragging a tile’s border. And a list-style view has been added which enables viewing and finding a list of tabs, and even changing their order will be effortless. 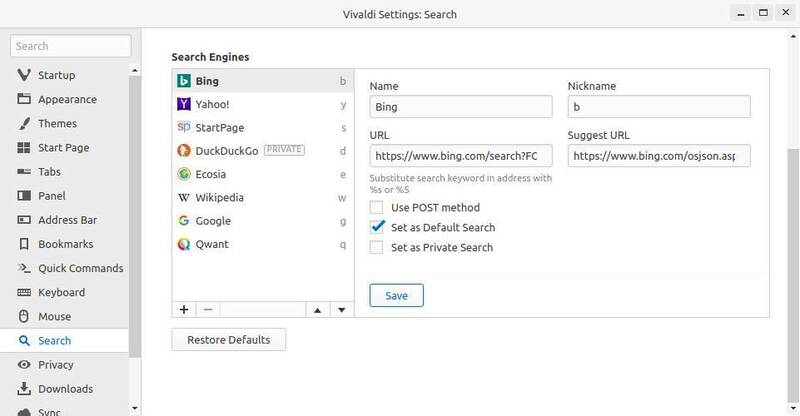 Vivaldi already has been valued because of the very functional and effective panel. And in this latest release checking your messaging apps, social feeds and news sites has been made even simpler with floating web panels, and web panel suggestions. Privacy has always been the top priority of the Vivaldi team and and that will always remain at the top of the attention list. The team now integrated DuckDuckGo as the default Private Search. Qwant was added to the list of suggested search engines as well. For Ubuntu based distributions the installation of the Vivaldi browser couldn’t be simpler. 2) Select Vivaldi 2.0 64bit DEB if you have a Debian based distribution like Ubuntu, Kubuntu or Linux Mint. 3) After the download has been finished you just double click the .deb file and further installation is a no brainer. To be honest, again I can go on and on with describing the distinctive functionalities of Vivaldi. In my previous article on Vivaldi I asked myself if it even could become my main web browser on my Linux desktop and laptop. And now I can confess that I indeed use Vivaldi as my daily driver. Try it! You will be pleasantly surprised.